have worked on nearly every major avionics program. ARINC (Aeronautical Radio Inc.) maintains specifications for many avionics data bus protocols. The current versions of the ARINC specification documents can be purchased from ARINC. 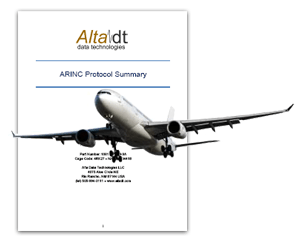 This document will provide a summary of some of the commonly used ARINC protocols. This is intended only as a brief overview and should not be used in place of the ARINC specification documents. 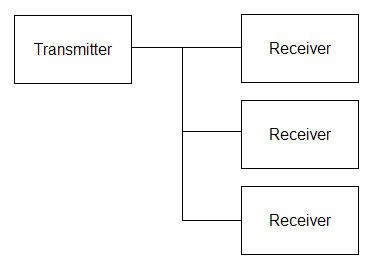 This document will provide a summary of some of the commonly used ARINC protocols. This is intended only as a brief overview and should not be used in place of the ARINC specification documents. MIL-STD-1553 has had a long, popular life – and will continue to be supported for decades to come in new and legacy applications. Alta engineers and managers have been in the avionics industry since the early 1980’s and have worked on nearly every major avionics program. The links to the right provide some of the most useful 1553 references – the same references we use in our product development and support. 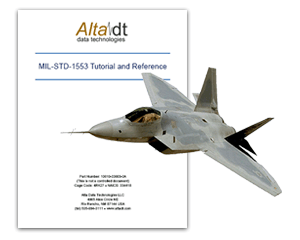 The MIL-STD-1553 Tutorial and Reference	(5537 downloads) is a summary of the standard and critical aspects in development of a 1553 computer (this document is ideal for quick reference for design and programming). We don’t bother to repeat the detailed parts of the standard because the MIL-STD-1553B Notices	(5576 downloads) and MIL HDBK 1553A Notice II	(5682 downloads) are the best resources. The SAE is the governing body of the 1553 standard and the current versions are copyright controlled under “AS15531” titles. Our AltaView and AltaRTVal products offer the best tools for debugging and validating your 1553 system. If you require more information, please contact us. If you need detailed test and training support, the best source in the world is Leroy Earhart of Test Systems, Inc of AZ, USA. www.testsystems.com. This overview is designed to complement the referenced MIL HDBK 1553A Notice II	(5682 downloads) document, which provides an excellent detailed review of the 1553 standard (MIL-HDBK-1553A Section 20 provides a summary of MIL-STD-1553B Notice 2). Commercially available chip-sets and interface cards (like Alta’s) “off load” the protocol processing (protocol engine) so the engineer’s primary concern is design/integration of application software and cabling issues. The following paragraphs will highlight the main points of the standard that the design or system engineer needs to know for a successful integration. 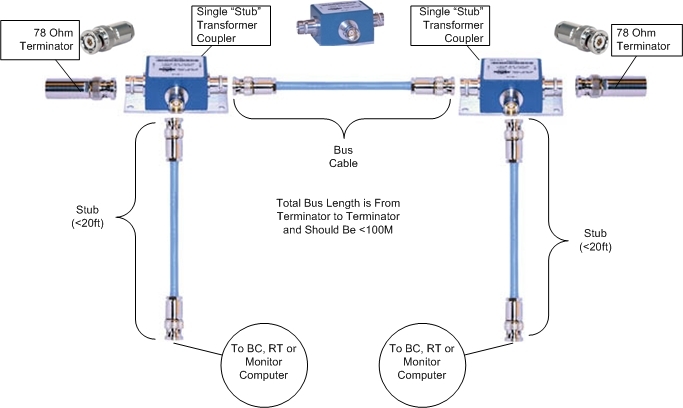 The following diagram shows a crude example of a simple network with computers (BC, RTs and/or Monitor), bus cabling, transformer couplers, stub cables and bus terminators. More description on these terms is provided in the following sections. The computers shown in the picture could be actual Line Replacement Units (LRUs) or a PC/VME computer with an Alta 1553 interface card. Today, 1553 is regarded as a low speed computer interconnect standard that can be developed with readily available, low-cost commercial components and is ideal for environmentally harsh environments (especially environments with electrical noise). The links provided below are some of the best resources for Avionics, MIL-STD-1553 (1553, 1553A and 1553B). We have also provided links to companies that we think have great products and do an outstanding job in supporting the customer. Sign-up for MIL-STD-1553 seminars by Test Systems, Inc.